Contains: 1. Rakuen no Jouken (The Conditions for Paradise) Two adult women figuring out the boundaries in their relationship--is too much freedom a bad thing? 2. 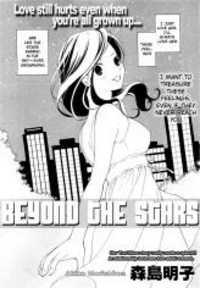 Hoshi no Mukougawa (Beyond the Stars) Chapter 1 prequel. It's about how Sarina and Sumi first became more than friends. 3. Bathed in Sunlight Filtering Through the Trees A continuation of Sarina and Sumi's relationship. 4) 20 Musume x 30 Otome About an art prep school teacher who feels like she can't compare to her new 20-year-old girlfriend. 5. The Opposite of "Seme" is "Protector" Chapter 4 sequel. Keiko wants to take things further. There are two more stories in this series in the Lapis Lazuli Dream collection. 6. We're Aiming for Love Now It's about two women who love each other just as they are. 7. 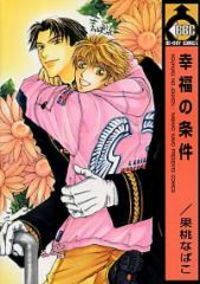 Momo no Aji (Peach Taste) A girl struggles to convince the object of her affections to take her seriously. 8. Sakurahime Hanafubuki Set in Japan's past. A knight protects her princess.